A little while ago I was contacted asking if I'd be interested in receiving a ghd Pink Diamond straightener to do a tutorial with. I explained I'm not really comfortable doing tutorials, and am a bit busy to really put in the effort to make a quality one, but I ended up still being able to get one in exchange for a review! It was pretty exciting because I really needed a new straightener but always had something else I needed to spend my money on. I would like to preface the review by saying that I know very little about these sorts of things and all the straighteners I have had in the past have been pretty bottom of the range, so to speak. But, of course, I've heard of ghd and have always kind of longed for enough money to splurge on something like this. (And $20 from each pink diamond straightener sold goes to the National Breast Cancer Foundation). And, at the end of the day, I can still say whether or not this works well for me...and it does! I'm so happy with it. 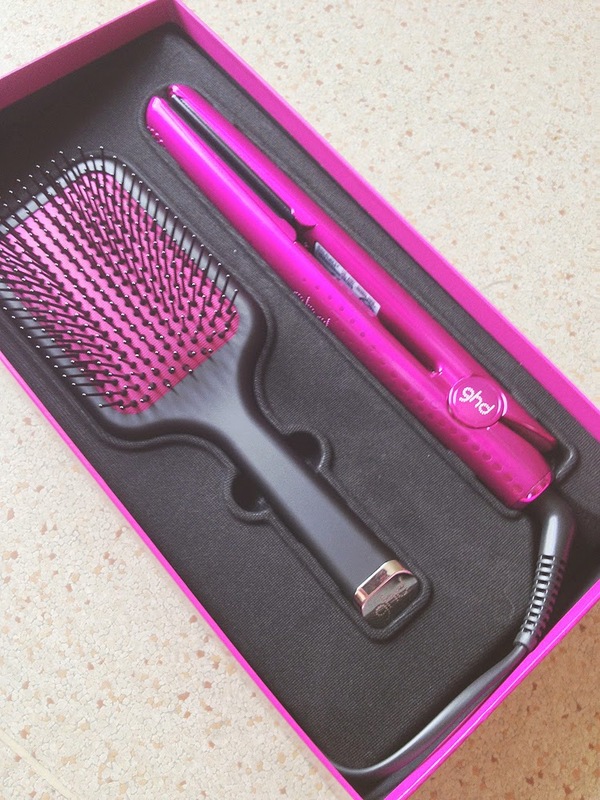 As you can see the straightener is packaged well and comes with a ghd paddle brush. I've got to say that I love this brush - I've been using a 'boar' bristle brush which was great when I was setting my hair all the time but not so much now, so getting this with the straightener was a really nice bonus. It arrived to me in a much larger shipping box with padding and what-not keeping it safe inside! Above is a photo showing my hair in its natural state - this was the day I'd washed it and I combed it, then let it air dry. 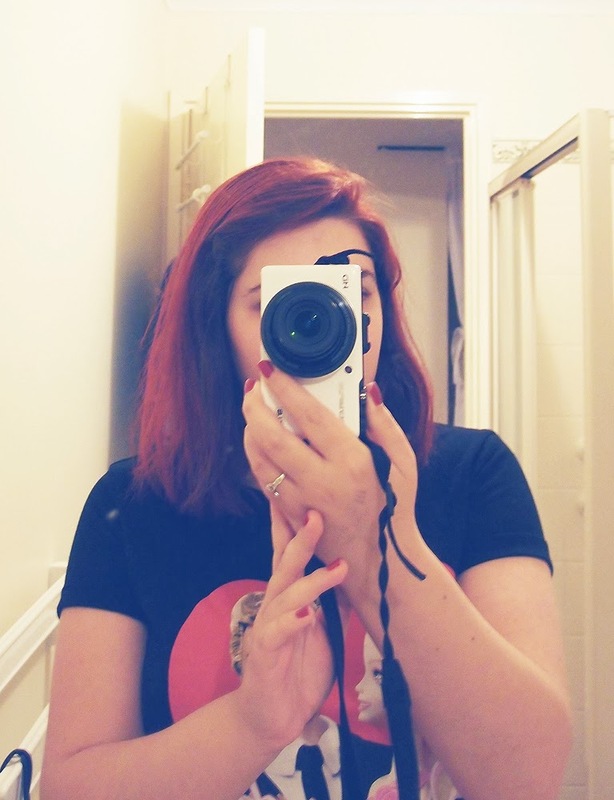 As you can see my hair is fairly straight with just the teensiest bit of a wave to it (and some frizz, thanks to bleach baths to get my hair this shade of red). So, I don't really need a straightener to, well, straighten my hair but I often use one to style my hair. 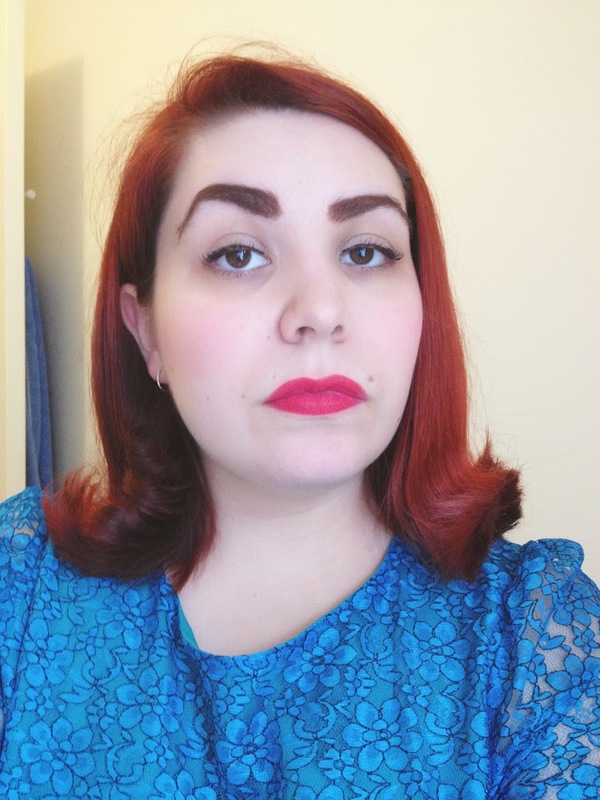 This was the first hairstyle I tried out with the ghd - it was easy to get this subtle flip and as you can see my hair looks a lot smoother and shinier. The ghd took about twenty seconds to heat up. I was so surprised - I'd been impressed that my old straightener only took about ten minutes! It beeps to let you know that it's hot, too, which is great. It's easy to handle and the rounded, shiny barrel (or shaft, I guess) means that those annoying little dents I used to get using my old straightener don't happen so often. I guess the only downside to the rounded and shiny exterior means that it's a bit tricky to set it down on the counter as it slips a little but that is probably the only 'issue' I have with this straightener. This was the next style I tried out - I'd actually tried curling it a bit but that didn't work out (due to my awkwardness) so this is what happened when I tried to fix it. As you can see (it's more clear below) I got this very soft 1940s page boy-esque style. I would tell you how I did it but I honestly don't remember. Oops. 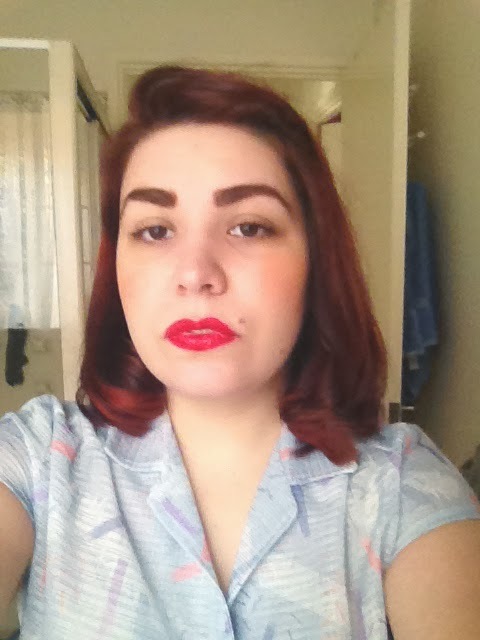 But it does show that you can get some vintage-y styles using the straightener (and, as I mentioned, this is helped by the rounded/contoured plates)! (This is probably old news to most people but only recently stepping up in quality about a thousand notches from my old straightener means I'm a bit behind on it all). I think you can see how I styled my hair a little better in this picture. I was so pleased with how it turned out! 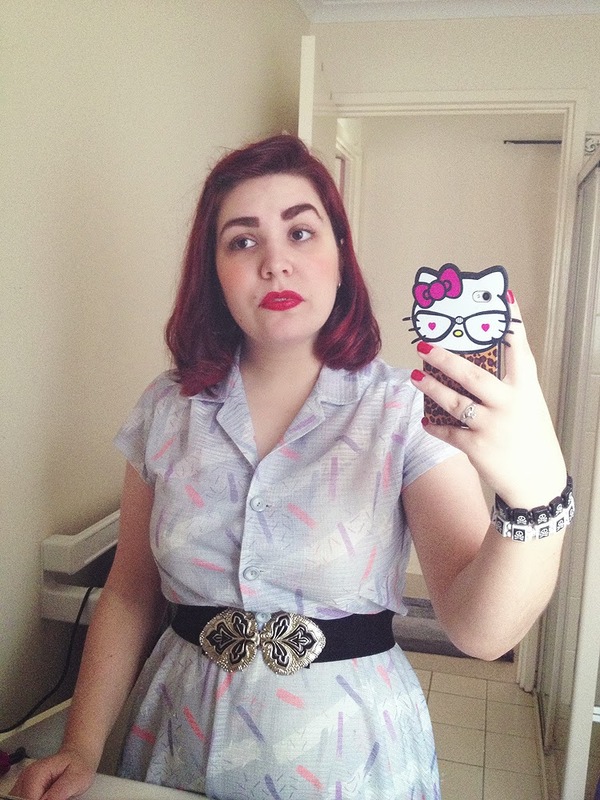 It lasted fairly well, too, which was nice because my hair doesn't usually last very long with heat styling. 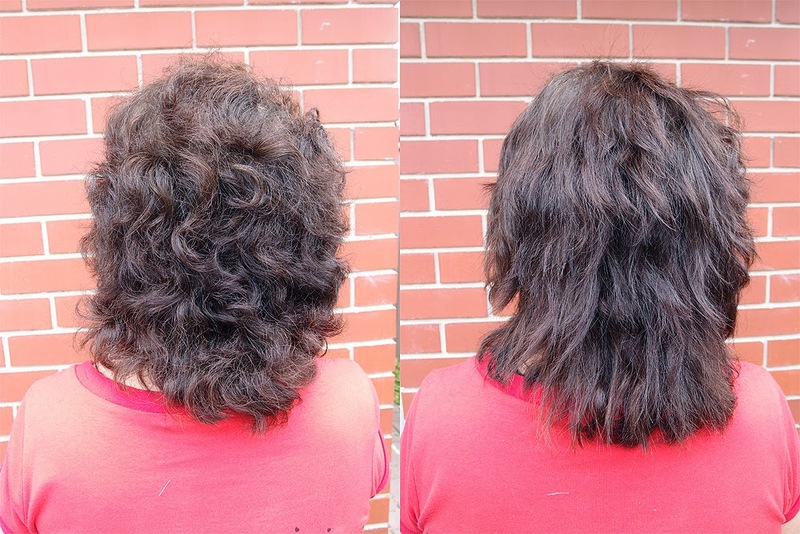 My mum has very different hair than I do - it's quite curly and thick. On the left is how her hair looks when it was left to dry naturally, on the right is after a very quick run-through with the ghd. You can see how big the difference is just using it quickly (probably less than ten minutes and my mum has a lot of hair). I thought I would add this photo in just to show how it works on curlier hair. Obviously my mum's hair has been cut so it sits better when in its natural state. 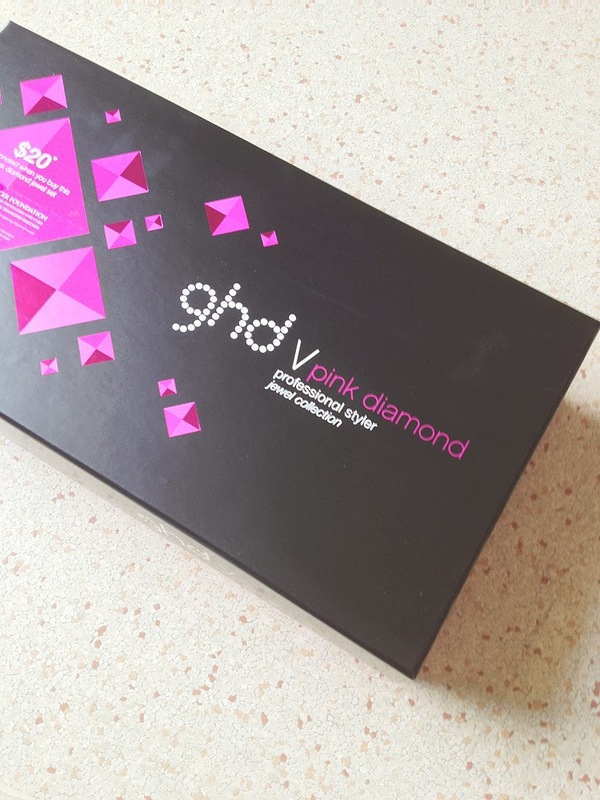 I'd also like to add that when I posted a photo of the ghd pink diamond on Instagram a lot of people commented to say how much they love their own ghds - some have had them for years and not treated them particularly nicely and they still work incredibly well. It was really great to get that feedback from people who have had one for a while and made me a lot more confident in writing this. Obviously not everyone can afford something like this and, to be honest, I never would have been able to fork out the cash to buy one myself. If it does last as well as everyone else has said then it's probably well worth the investment if you use this sort of styling tool regularly (and, since I stopped setting my hair, I use straighteners quite often). Something like this is a pretty big investment and I always prefer to read reviews from someone I 'know' so I hope this review is helpful for at least someone! If anyone has any particular questions about the straightener that I didn't cover, just ask away! You can also read reviews at the ghd product page, which also gives a bit more information about it, too. Here's the link to the general straighteners page. And, as I mentioned at the beginning of the post, $20 from each of the pink diamond straighteners does go to the National Breast Cancer Foundation. Each of these looks are so lovely! Unlike curling irons, I don't think I ever used a hair straightener in my pre-wig days, as my (natural) hair was so ridiculously bone straight naturally. 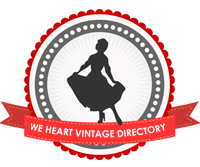 You have me wishing now that I'd given one a spin though - I'd love to recreate the pageboy-esque 40s inspired style. Damn girl! That's a super cute look. I used a friends GHD once and it was amazing. I wish I had the money to buy one back then when I was straightening my hair. Looooove the hairstyles you have done with it. Super cute. I've been quite seriously considering getting one of these. My current straightener isn't so crash-hot, and now that I've cut off more than half of my hair it's just too bulky to do a good job. The GHD seems much more streamlined, which appeals to me.